"‘Commodities – Switzerland’s most dangerous business’ paints a searing and detailed picture of one of globalisation’s biggest winners, a powerful industry whose dealings often take it into dangerous areas. In the last decade Switzerland has emerged as one of the world’s dominant trading hubs for commodities, handling from 15 to 25 per cent of world trade. All the world’s largest trading houses operate partly or mainly out of this seemingly peaceful and innocent country. But while these powerful companies experience an unprecedented boom, the population of many resource-rich developing countries remain mired in poverty. This book tackles the question of why? 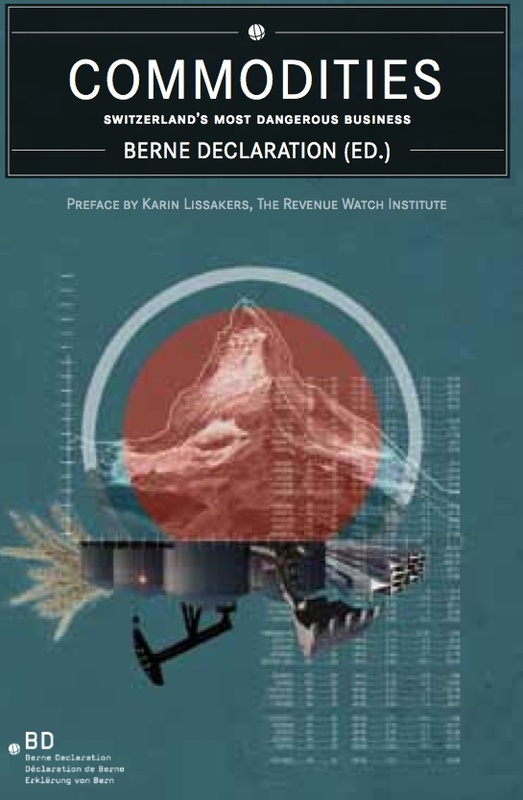 By means of research and reportage, Berne Declaration (BD) digs down to uncover the historical roots of Switzerland‘s role as a trading hub, scrutinises scandalous business practices and their political contexts, goes down a copper mine in Zambia, and exposes the leading Swiss companies and players in this discreet industry. The book reveals how commodity deals are financed and how taxes are avoided, provides insights into the social and environmental consequences for producing countries, and suggests how greater justice can be achieved in a business which is worth billions and upon which we all depend." Indeed. Read all about it in the UK chapter of Treasure Islands. And for something more current on Switzerland, see this, today: Switzerland and economic warfare. National oil companies and their customers should publish the price, volume, and crude grade for every cargo of oil sold, thereby bringing greater transparency to a largely hidden part of the world’s oil market, Revenue Watch (RW) reports in pioneering research released today. The study is being published simultaneously with the English edition of “Commodities: Switzerland’s Most Dangerous Business,” a groundbreaking analysis of the industry by Berne Declaration (BD) that shows why and how resource-rich developing countries remain poor while Swiss trading companies make billions. · Companies should disclose annually the price, volume, grade and date of each cargo purchased from a wholly or partially government-owned entity. · Governments should require commodity traders and other buyers registered or listed in their country to report on payments made to producer country governments. · National oil companies should also disclose all financial transfers to and from the government. RWI’s analysis of good sales practices shows that selling to independent commodity traders is almost always not the best choice for developing countries. This sector is heavily concentrated in Switzerland and is the topic of “Commodities.” German and French editions of Berne Declaration’s reference book were widely reviewed and became bestsellers in Switzerland. This first ever survey of Swiss-based commodities trading industry, available as a free online download, includes portraits of the key firms, provides insight into the consequences for the producing countries, scrutinizes tax avoidance and speculation, and offers proposals for greater transparency and better deals for producing countries in this multi-billion-dollar business. To add to our country-by-country reporting page.